GWANGJU, South Korea – The USA Women’s World University Games (5-0) trailed by as many as 15 points Saturday night, but the USA outscored Japan (3-2) 16-12 in the second of two overtime periods to win its semifinal matchup, 102-98, and advance to Monday night’s gold-medal game. It was only the second overtime game for the United States in World University Games history, and the first that needed two additional periods to decide. The USA had not played an overtime game at the WUGs since dropping a 93-89 decision to Yugoslavia at the 1987 games in Zagreb, Yugoslavia. The United States had a few chances to put the game away a bit earlier. Nearing the end of regulation, Mercedes Russell (Tennessee/Springfield, Ore.) knifed inside to score off a pretty feed from Sydney Wiese (Oregon State/Phoenix, Ariz.) to put the USA ahead, 77-75 with 1:07 to go. The teams traded missed 3-pointers before Japan’s Manami Fujioka was able to tie the game with 10.5 seconds to go. McKeown used a timeout to draw up a play, but Russell missed the shot. Japan got the rebound before Wiese stole the ball and shoveled it ahead to Russell as the seconds ticked down. Russell got off an off balanced, last-ditch effort from about five feet, but her attempt drew iron as the horn sounded, sending the game into overtime. inside off an assist from Jordin Canada (UCLA/Los Angeles, Calif.) 16 seconds into the extra session. Following a Japanese basket, Canada scored a bucket of her own before Aerial Powers (Michigan State/Detroit, Mich.) nailed a 3-pointer to put the United States ahead, 84-79, with 3:34 to go. Nursing a two-point lead, Russell scored 1:20 later to put her team ahead, 86-82, but that was the last time the USA could put the ball in the net. The last sequence of the first overtime was hectic. McCall pulled down a rebound on the defensive end with 25.7 seconds to go. Canada missed a shot with about 10 seconds to go, but Russell came up with the rebound. Her attempt was off, but McCall was fouled in a scramble for the rebound and sent to the line with two free-throw attempts and no time left on the clock. Unfortunately she was unable to convert and another five minutes went up on the clock. 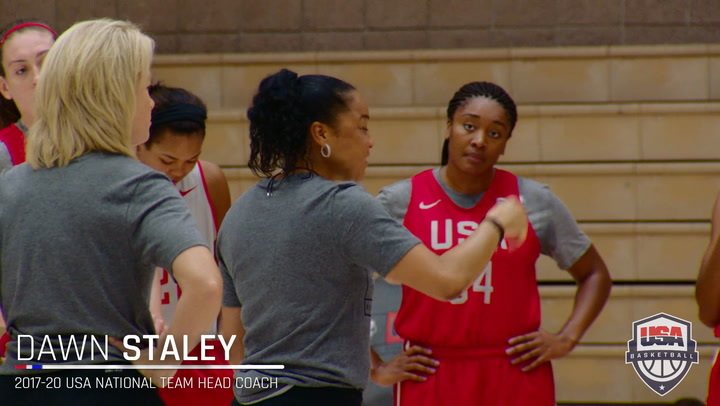 McCall and the USA made it a mission to leave little no doubt. The Stanford Cardinal forward scored at the 4:41 mark of the second overtime and the United States would never trail again. The lead grew to as many as eight points, but Japan would not bow out quietly. McCall stepped to the stripe once again with 24 seconds to go and buried a pair to put the USA at the century mark with a 100-95 lead. A late 3-pointer by Masami Honda made it a two-point game with under 10 seconds to play, but Courtney Williams (South Florida/Folkston, Ga.) went 2-for-2 at the line to put the victory on ice and send the United States in Monday’s gold-medal game. Japan was red-hot from the field to start the game. With the game tied 6-6 with just under three minutes gone by in the opening period, the Japanese unleashed a 14-4 run that put the USA in a double-digit deficit, 20-10, with 4:03 to go. Japan would eventually push the cushion to 15 points, 26-11, with 96 seconds to go after Masami Honda connected from downtown. Japan shot an improbably high 63 percent (12-of-19) in the first period with 12 field goals, including four from 3-point range. 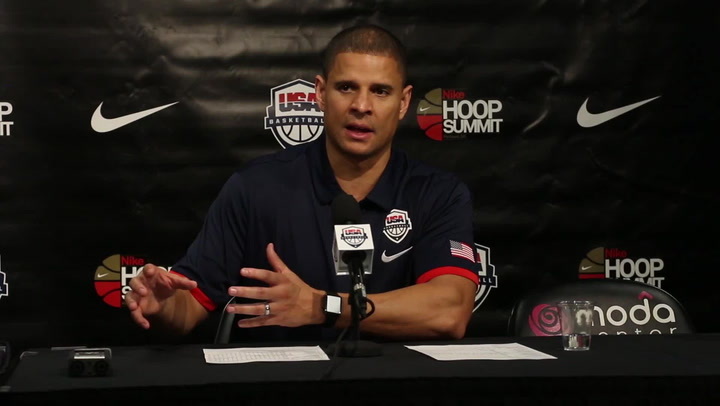 On the other end of the floor, the United States went only 6-of-17 (35 percent) with five turnovers. The United States steadily chipped away at its 14-point first-quarter deficit as the second period began. The team would come as close as four after a free throw from Russell made it 37-33 with 3:42 to go in the half. A late jumper by Masami with 2.3 seconds to go in the second quarter helped Japan take a 43-36 lead into the locker room. Powers got to the charity stripe early and often in the third quarter and her aggressiveness, plus some clutch free throw shooting, helped tie the game a 45 points apiece with 6:11 remaining in the third period. After Japan had taken back the lead, Wiese got a steal in the backcourt and a bucket to tie the game at 52-52 with 2:23 to go. The USA went ahead 57-54 when Williams beat the shot clock with a 3-ball from the left wing, but Japan scored four unanswered points to close the period, grabbing a 58-57 lead. Powers also gave her team its largest lead of the fourth quarter, 71-66, when she stole the ball and scored a layup with 5:35 remaining. Japan went on a 5-0 run that would set up the dramatic finish. Russell poured in a game-high 25 points and she tied Powers with a game-high 14 rebounds to secure her third double-double at the World University Games. She also played a game-high 47 minutes. Powers chipped in with 24 points for her first double-double of the tournament. Two other players also achieved the statistical feat in the four-point win. McCall added 19 points and 11 rebounds, while Williams finished with 17 points and 10 rebounds. Williams also matched Canada with a game-high five assists, while she and Powers added three steals apiece. The USA pounded Japan on the offensive glass. The squad, which owned a decided height advantage, corralled 26 offensive rebounds, leading to 30 second-chance points. Japan, on the other hand, had 16 offensive rebounds, but only five second-chance tallies. Overall, the United States owns a rebounding margin of +20.6 at the 2015 World University Games. It has pulled down 103 offensive rebounds alone, an average of 20.6 per game. 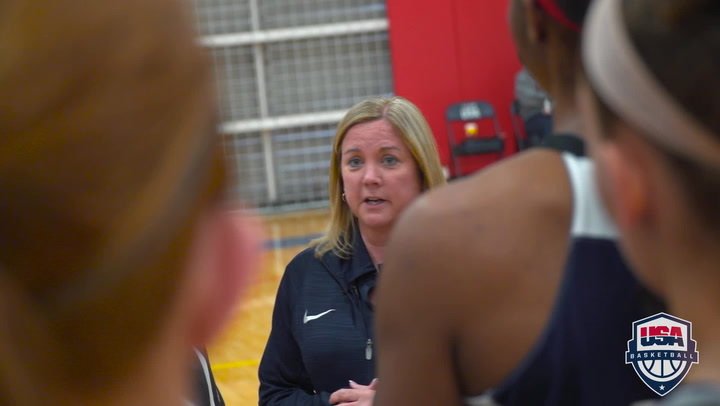 The United States advances to play another North American unit, Canada (5-0), for the gold medal on Monday night at 6 p.m. local time (5 a.m. EDT) at Yeomju Gymnasium. It will televised on ESPNU. 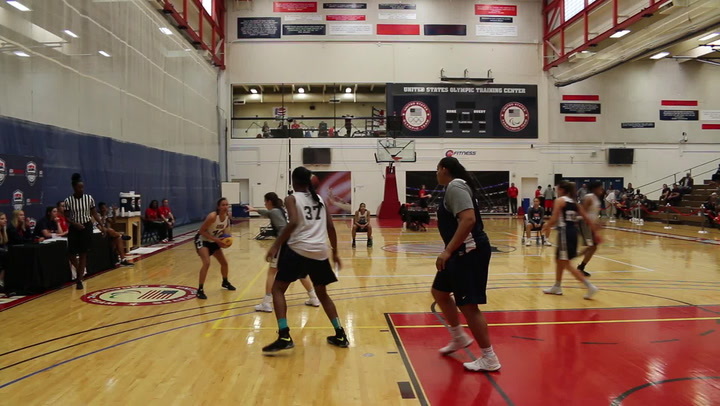 The two met in a scrimmage before the World University Games began with the USA winning the workout, 68-51. Canada won the last matchup at the World University Games in 2001, claiming a 68-67 victory in Beijing, China. The USA did go on to win a gold medal that year, defeating host China in the final, 87-69. The USA is now 106-15 all-time at the World University Games with nine gold medals to its credit, plus six silver medals. 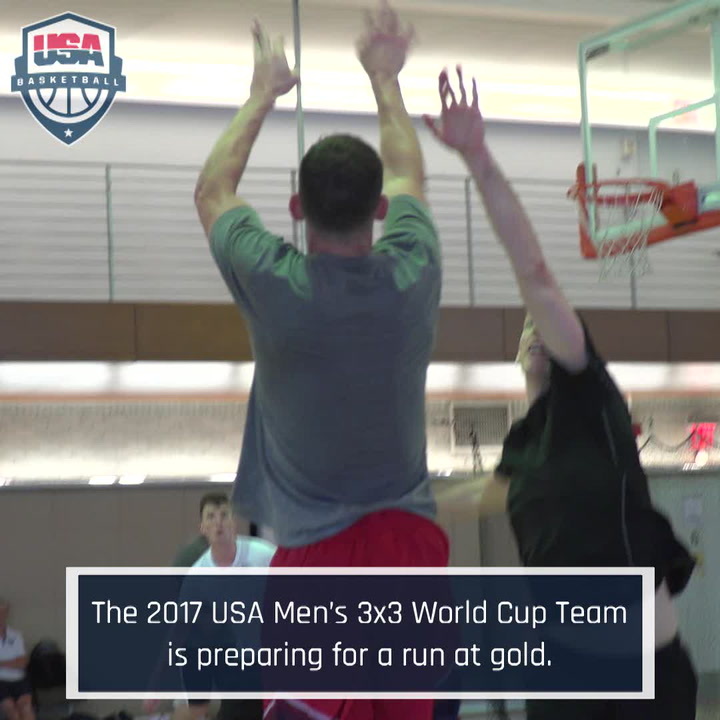 The USA has won gold medals in the past five WUGs in which it has competed (2001, 2005, 2009, 2011, 2013).